For the total novice, new handgun owner or anyone that's just curious about it, ccw reciprocity is a legal mechanism where by one government agrees to honor, recognize or otherwise accept something granted by another state. It could be almost anything; driver's license, credit card laws, whatever. However, what concerns most people is concealed carry reciprocity. Specifically, what a person is looking for is which states honor or accept the concealed carry license from their state. It's a good thing to be aware of, since the resident concealed carry license from one state is not as widely recognized as another. Bear in mind, though, that this is not legal advice; this is merely publicly available information that's being related to the reader. Consult with a qualified legal professional for actual legal advice. 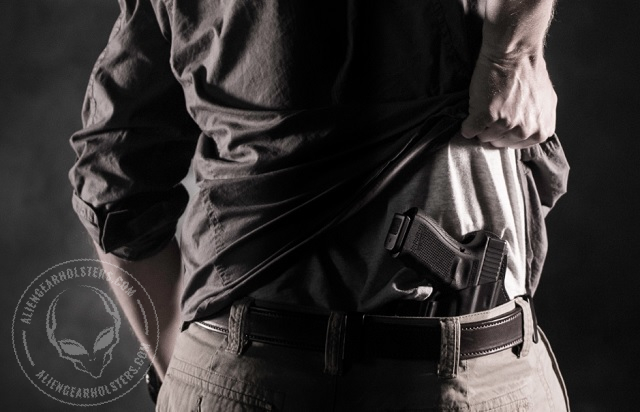 How Does Concealed Carry Reciprocity Work? Concealed carry reciprocity, like so many other things, varies from state to state since the laws of each state vary. There are a few different mechanisms by which concealed carry reciprocity can come to pass. What's fairly common is that a state sets forth in law that they will recognize the license of any state that has standards for granting a license at least as stringent as it's own. Often enough, that means a background check, fingerprints and some sort of concealed carry training like an NRA pistol course or hunter's safety class. Other states only enter into reciprocity agreements by interstate agreements. In other words, state A and state B both agree to mutually recognize the other's pistol licenses. What's also common - more than 20 states in the union have this reciprocity policy - is for a state to recognize any valid concealed carry license issued by another state. In other words, whomsoever has a valid license issued in the U.S. can carry in states that have a reciprocity law of this sort. Some states have this policy but maintain reciprocity agreements with other states so that the resident license is recognized elsewhere. Unfortunately, there are also states that don't have a mechanism at law for recognizing any other state's concealed carry license. Typically, such states are havens for gun control and the average citizen in those states does not have an easy time getting a concealed carry license in any case. How Do I Find Out What States I Have Handgun Reciprocity With? Typically, your home state will maintain a list of states that they maintain handgun reciprocity with. Not all states, however, make this list obvious or even easy to find. In many cases, one goes to one's home state government website. The Attorney General's office will usually have the reciprocity agreements, though state police are another good source. Or, if you prefer to not have to hunt that information down, you can also look up a CCW reciprocity map, such as the one located on this website. As it happens, there are some helpful folks out there that have done the legwork so you don't have to. 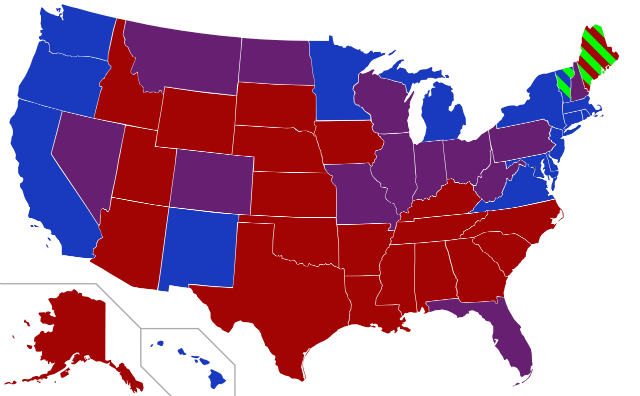 Using the Alien Gear reciprocity map will show you what states recognize your license. It will also show you which state licenses are recognized by your or any other state. There are also links to relevant information. 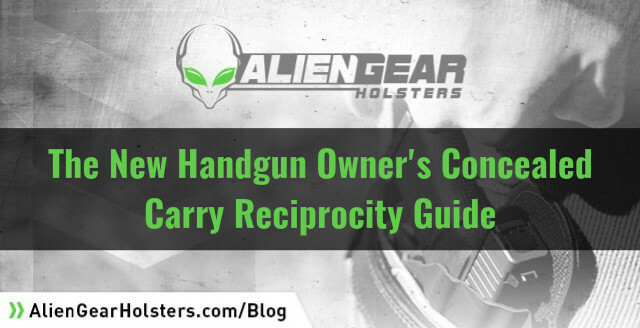 The primary reason a person looks at reciprocity is often enough that they will be traveling with a concealed handgun. Another common reason is that a person lives close enough to (or on) the border that they frequently cross the border into another state. If either is the case, there are a few things to look at. First, obviously, is to determine whether the state you'll be traveling to recognizes your concealed carry license. If so, that takes care of the most important part. Next is to determine what laws the state you'll be traveling to - or through, in case of a multi-state trip - have regarding having a gun in the car. For instance, does it have to be concealed or must it be in plain sight? Is traveling with a loaded firearm totally forbidden or is it acceptable only for permit holders? Part and parcel to any and all reciprocity agreements is an inherent agreement on the part of a person enjoying said reciprocity to follow the concealed carry laws of the state they are traveling in or visiting. In other words, a person with a Washington state permit has to abide by Idaho concealed carry laws if they visit, say, Silverwood or Boise State University to see the Broncos play on that orange turf. If part of a longer, multi-state car trip, you will have to look into the concealed carry laws of every state you'll be driving through. Some states may require you to unload your pistol and store it in an appropriate location, some will not. Additionally, some state require you to inform an officer that you're armed if pulled over; make sure you find out if any states you plan to visit have this requirement. 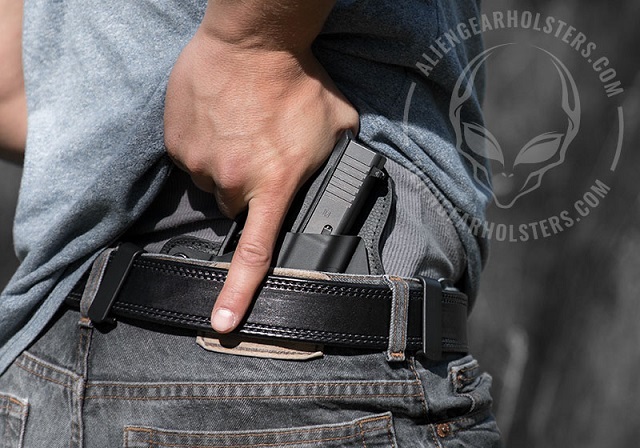 Unfortunately, carrying a firearm will make road trips a bit more complicated in the planning phase and also in that you may have to make a stop or two in order to ensure compliance with state laws. However, so long as you do your due diligence, it needn't be THAT hard.